So much for the new generation. Any hopes the next crop of men's tennis might plant a flag at Melbourne Park this month have been ruthlessly dashed by the world's top two players. On Thursday night, Rafael Nadal kept 20-year-old Stefanos Tsitsipas of Greece to just six games in a 6-2 6-4 6-0 semi-final romp at Rod Laver Arena. 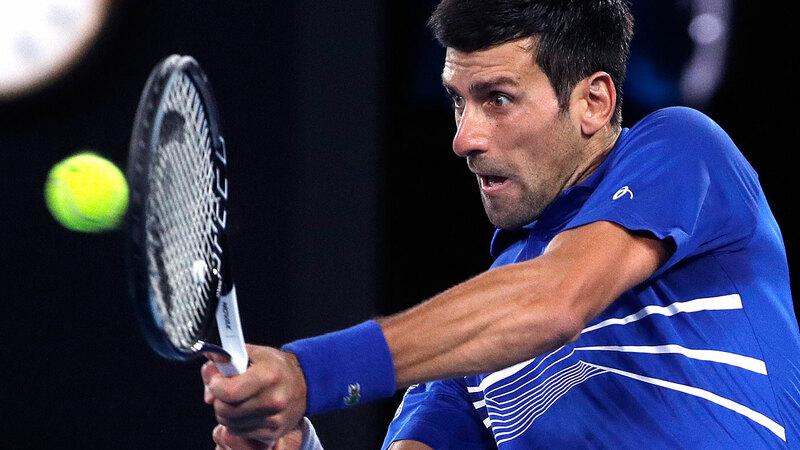 A day later, Novak Djokovic needed just 83 minutes to stop the unlikely run of 24-year-old Frenchman Lucas Pouille with a 6-0 6-2 6-2 demolition. Both were among the shortest 12 matches played in this year's Australian Open. And they confirmed the fears of those hoping for fresh blood at the top of the men's game. "I was trying to find a solution but couldn't find any," an awestruck Pouille said. "I didn't have time to put a strategy in the match. The strategy was to be aggressive, try to be the one who's leading the point. "But when he's playing that far from the baseline, 10 centimetres from the baseline all the time, it's tough to do it. I think he just played amazing. He was too good today." Since Roger Federer's first grand slam triumph in 2003, he and this year's Australian Open finalists have combined for 52 of the past 63 major titles. Andy Murray and Stan Wawrinka have another three each; long-retired duo of Gaston Gaudio and Marat Safin also have one, as do 30-year-olds Juan Martin del Potro and Marin Cilic. That's it for the past 16 years. Quite incredibly, no one under 30 has won a men's grand slam - or has even taken a set in a final. The flipside is that when the powerhouses meet in the final, as Djokovic and Nadal will do, it's an irresistible occasion. "We'll see on Sunday how he goes, because Rafa looks pretty amazing, too. I think they going to make a great match again," Pouille said.